The best of the best in Europe. A star player from each of the competing teams at Euro 2012. Cape Town - England's hopes of success at Euro 2012 in Poland and Ukraine were given a boost on the eve of the tournament as a giant construction of 'Roy the Redeemer' was unveiled on the White Cliffs of Dover, according to the Mail Online website. The huge image of new manager Roy Hodgson stands at an impressive 100 feet tall and overlooks the English channel and over to France - England's first Group D opponents on Monday in Donetsk. 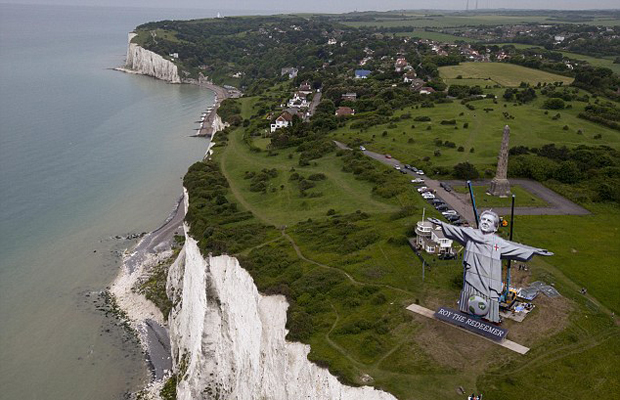 The stunning structure is a reproduction of the iconic Christ the Redeemer statue which overlooks Rio de Janeiro, but with the face of Christ replaced by England's new ‘saviour’, Hodgson. 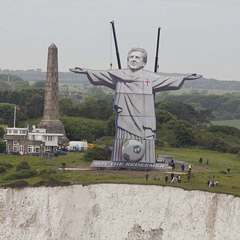 The image, which has taken one week to install, is the work of betting company Paddy Power who hope it will inspire England to victory.